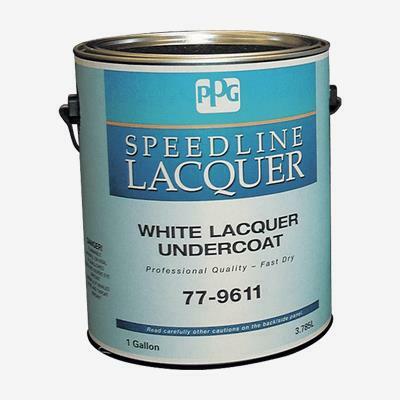 SPEEDLINE™ Premium White Lacquer Undercoat is a premium, fast drying, low odor primer with excellent hold out properties. It dries to a flat finish and sands easily. It may be used as a primer for interior bare wood, plywood, and hardboard surfaces and as a primary coat on all interior wood surfaces to be painted. It is designed for use in homes, apartments, and commercial buildings.